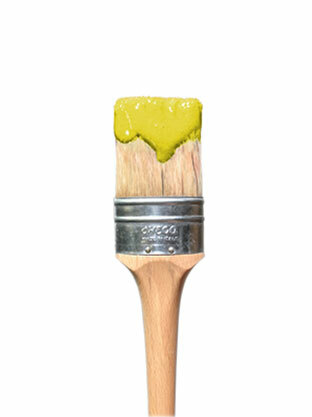 Environmentally-friendly, non-toxic, paint that’s versatile and easy to use. Made from 100% organic material, it’s safe for kids and pets alike. Easily create a smooth finish or an antiqued look. Oils can make your piece exactly what you want. Some of the only hard-drying oils on the market, ours will do just as they say. Works great on floors and many other surfaces. No Odor, Non-VOC’s water base top coats that provide a protective, washable, tinted, matte finish. Helps to hide or enhance moldings, trims and recessed areas on decorative surfaces. Waxes will finish your piece with the perfect look that you’ve been searching for. We offer no-VOC waxes, paste wax and just about any other kind you can think of. Real Milk Paint is a powdered, child safe paint that will give you a matte, velvet, chalky finish and sticks to a majority of surfaces without any priming or sanding. It’s environmentally friendly, no VOC, and non toxic. Made from 100% organic material, safe for kids and pets. Our exclusive formula makes it last longer than other products you might find for sale. After being mixed, it remains stable for at least two weeks, compared to a day which is typical of other milk paints. Thin it with more water for use as a wash coat or dye stain. It’s great for DIY projects from repurposed furniture or painting walls and ceiling. You can also mix to create your own colors. Milk paint is also ideal for creating an antique look or crackle finish. Fun, easy and safe for you and the planet. Easy on Earth. Easy on You. We offer premium grade drying oils to completely seal and protect your items. Tung Oil is a hard drying wood oil that provides a lustrous and beautiful finish. It resists marring, penetrates well, and is environmentally friendly. Our Pure Tung Oil is the purest, highest quality you’ll find. All natural, food safe, and creates a flat finish. FDA approved for food contact. The Tung Oil, among other drying oils, offered by Real Milk Paint is a pure oil meaning it comes without any additives or distillates. Most other oils can be anything from a thinned down varnish to polymerized tung, and most have petroleum distillates added. Ours will not build a gloss finish or heavy finish but will penetrate deeply into the wood to enhance character and water resistance while creating a great wood finish. This makes our tung perfect for uses such as wood counter tops, bowls, butcher blocks, cutting boards, chopping blocks, outdoor furniture, decks, wood siding, wood flooring, concrete, brick and just about any porous surface that needs an environmentally friendly product. Real Milk Paint is a powdered, child safe paint that will give you a matte, velvet, chalky finish and sticks to a majority of surfaces without any priming or sanding. It’s environmentally friendly, no VOC, and non toxic. Made from 100% organic material, safe for kids and pets. Our exclusive formula makes it last longer than other products you might find for sale. After being mixed, it remains stable for at least two weeks, compared to a day which is typical of other milk paints. Thin it with more water for use as a wash coat or dye stain. It’s great for DIY projects from repurposed furniture or painting walls and ceiling. You can also mix to create your own colors. Milk paint is also ideal for creating a antique look or crackle finish. Fun, easy and safe for you and the planet. Easy on Earth. Easy on You. All Finishing Creams are No Odor Non VOC’s water base top coats that provide a protective, washable topcoat. Available in Gloss, Low Sheen and Dead Flat. They will not change the color of the surface you are applying it to. Burnishing Paste can be painted over with any paint in the future including Real Milk Paint. Brush, rag or sponge on surfaces. Quick clean up with soap and water. Dead Flat is not recommended over black color paints. Waxes will finish your piece with the perfect look that you’ve been searching for. We offer no-VOC waxes, paste wax and just about any other kind you can think of. One of our time tested and most sold waxes is our Soapstone Sealer and Wood Wax. Its the perfect no VOC, food contact safe solution to sealing and finishing your soapstone countertops. We proudly manufacture our products here in the USA. All of them getting shipped to you from our factory. However, buying locally helps support your local community as well as save you the shipping! If your looking to find milk paint near you, use our Find a Retailer tool to find one in your area. Each retailer is carefully selected and carries a variety of our products. We recommend calling ahead to see if they have what you need. Want to retail our products in your area? We have a competitive investment offer and multiple benefits for retailers. Click the link below to find out more about joining the Real Milk Paint Co Retailer family! Why “Real” milk paint? Our milk paint is an 100% organic, environmentally friendly, nontoxic, no VOC, child friendly paint and is ideal for antique furniture, decks, floors and walls. You can mix it with pigment powders or other milk paint colors to create just about any color you can imagine. Its not fake milk paint, with unsafe or harmful ingredients, its the real deal. We also offer paint remover, crackle, tung oil, Citrus Solvent (a natural replacement for mineral spirits and paint thinner), oil for butcher block, and a host of other earth-friendly products. We developed our recipe in our antique restoration business based on the need for authentic product in a traditional color palette to give a fantastic wood finish. Real Milk Paint® is our own exclusive formula made from all organic materials including powdered purified casein, lime and pigments. It’s a natural paint and is not repackaged from another company, or simulated milk. Our powdered formula will remain usable for a minimum of a two-week period after being mixed with water. Other milk paints have a shorter life and congeal (gel) to a blob allowing only one day to use the mixed paint before being forced to discard the remainder. Milk paint was originally made from all organic raw materials, curdled milk, lime, and pigment. Black pigment may have been derived from coal, soot, or charcoal. Red color comes from the earth’s crust or a crushed brick. Yellow Ochre harvested from the earth. Our pigments today are harvested in the traditional manner and are completely safe, eco-friendly, non-toxic, lead-free and not radioactive. We make ours from purified milk protein, lime, natural fillers and pigment. Other paint companies choose to use Kaolin Clay as filler. Real Milk Paint® does not contain Kaolin Clay which can be derived from radioactive clays. 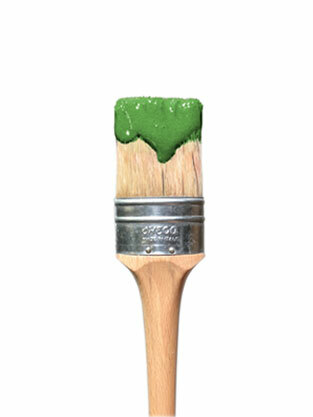 Our organic paint comes in a water soluble powder and does not contain solvents (Zero V.O.C. = No Volatile Organic Compounds). Our Formula contains almost one third pharmaceutical grade high calcium lime. One of the curing properties of lime is that it goes through a process call carbonization. This means that it absorbs carbon dioxide from the air, thus giving you cleaner indoor air quality when used on interior walls. That’s right, it will REDUCE CARBON EMISSIONS that contribute to Global Warming, while looking great and purifying your air. Great indoors, it can also be used outdoors, further reducing carbon dioxide emissions. Milk paint (casein paint) has been in use for hundreds of years. Documentation shows early 16th century painters recognized milk paint as having “much tenacity” along with giving a great wood finish. Our colors have been derived from more than 15 years of experience restoring and observing antique paint finishes of fine furniture. Our powdered paint system allows you to control the viscosity of the paint. Just add water to make a thick paint or more water to make a wash coat. Real Milk Paint® will not congeal to an unusable blob by the next day, but will remain usable for 2 weeks to a month. The richness of colors, combined with the dry flat look, is unmatched by modern paints. It’s also virtually odorless during application and while drying. All of our colors can be intermixed to create your own custom shades. 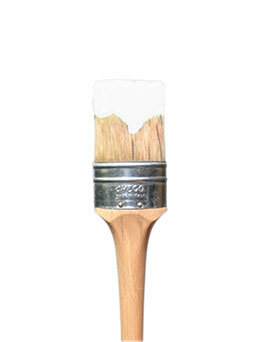 Use it to create an antique look with a slightly streaky finish right off the brush. Our milk paint doesn’t flow out after application like a latex paint, the brush marks and or roller marks will remain part of the textured surface. This lends to a more genuine wood finish. Our paint does have a textured feel to the dry paint but can be easily sanded for a smoother result. Being porous, it will breathe and allow the exchange of moisture. 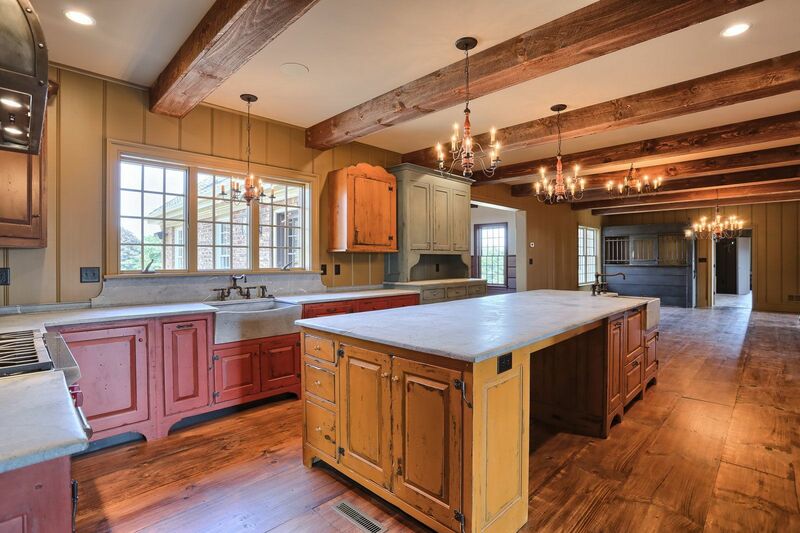 For high traffic areas such as kitchens, a sealer is recommended over the dry milk paint.